Try a Free Class - On Us! If you want your children to develop good health habits that are associated with a healthier, happier and longer life, then you need to get them started early. 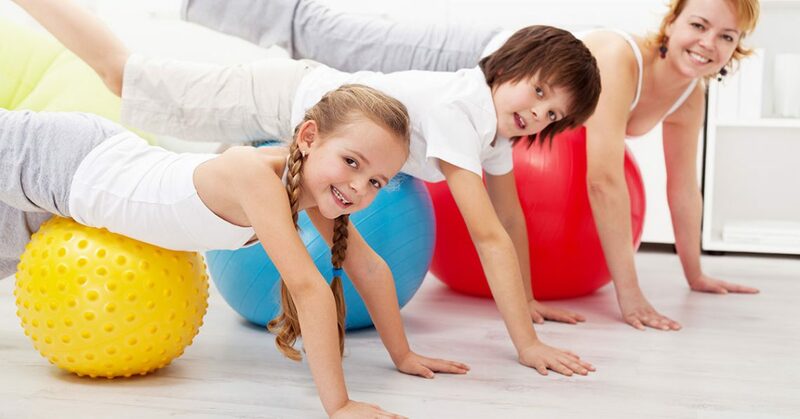 Clinical practice and research clearly show that healthy habits develop very early in life and once they are established, they are quite difficult to change. In other words, the key to maintaining a healthy diet and exercise is to start your kids on the right path at an early age. This includes taking them to your New Orleans fitness club. As a parent, you can encourage your kids to get plenty of physical activity and evaluate their choices in food. Here are a few guidelines you can follow to get you started. Your kids look up to you and carefully watch what you do. None of us are perfect, but if your kids at least see you put forth an effort to eat right and get plenty of exercise, they will do the same. Of course, if they see you eating the wrong types of foods and sitting on the couch all day, that will become their way of life as well. Don’t tell your kids what they can’t do, nobody likes that, tell them what they can do instead. Keep everything positive and fun. Instead of telling your kids they can’t eat that box of cookies, tell them they are more than welcome to eat an apple or banana. And when they are done eating, praise them for making the right choice. Small steps and gradual changes go over better with kids, and adults for that matter, than setting big goals. New behaviors come about easier when small goals are met and kids are encouraged to continue. A lofty goal that is hard to reach will only discourage them and may even prompt them to quit trying altogether. Television, smartphones, gaming systems and other electronics are habits that lead to a sedentary lifestyle. Limit the time your kids spend on these devices. There is absolutely nothing wrong with rewarding your kids for doing the right things. However, don’t hand out donuts for completing a good workout or extra television time for eating a healthy meal. Find better ways to celebrate their accomplishments. Get your kids involved in the planning and preparation of meals. In fact, take them to the grocery store with you and have them make menu choices for dinners. This is a wonderful way to spend quality time together and develop healthy eating habits. Don’t get your kids started on a healthy lifestyle and then turn your attention elsewhere, stay involved in what they are doing. In fact, take the extra step and ensure that they are practicing their healthy lifestyle away from the house. Check with them to make sure they are sticking with healthy food choices at school and not getting swayed by temptation or peer pressure.